How often has someone said or done something to you that is hurtful, or inconsiderate, or thoughtless? How does it make you feel? What have you chosen to do about it? It may be that you find it altogether too scary, too frightening, even threatening, to address the matter with the person who said or did this thing to you. If that person is someone who only exists on the periphery of your life, and is, therefore, of no particular importance, you could choose to ignore him/her. Case closed. But what if the person occupies a much more central role in your life, perhaps a co-worker, or a person who frequents the same groups of people you socialize with, or even someone from your closest inner circle: the family? What on earth can you do then? 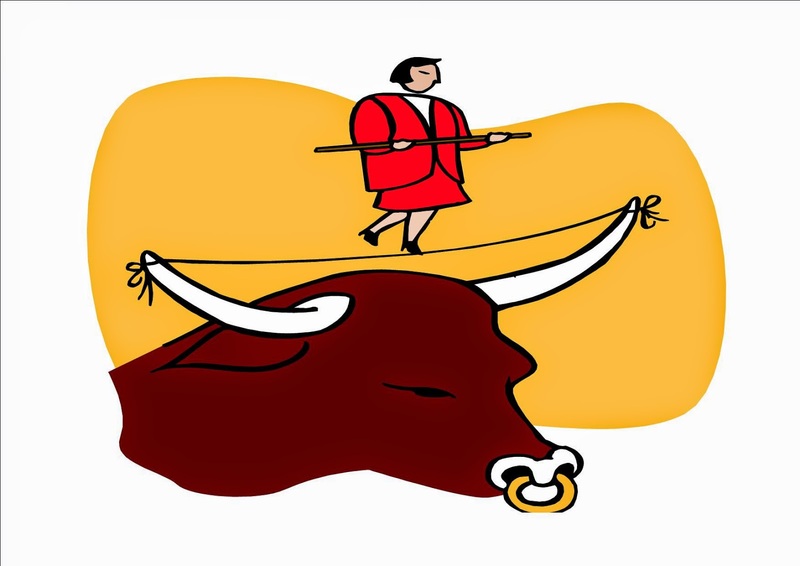 I'm a great believer in transparency, honesty, and in grabbing the bull by the horns. Admittedly, that's not always the best solution, but in the not small number of decades I've lived on this planet, in almost all cases transparency, openness, and honesty have given me good results - and with people from all levels of social, professional, and academic fields. So here's what I recommend: speak with the person who is upsetting you. Perhaps he/she is not respecting your boundaries, and that of course would have to be examined - both about the other person who does not respect your boundaries, and about you who are unable to set up healthy boundaries, or perhaps there are cultural differences that need to be added to the equation in order for the two of you to understand each other. It's also possible he/she is unaware of the impact those words or actions have on you. Perhaps it is all simply a huge misunderstanding. And of course, under such circumstances, talking about it can bring about solutions. However, I can promise you this, if you don't address it, the situation will only compound into something much worse. And further, if you don't address it at all, perhaps hoping and longing it will get solved ipso facto by a process of humanistic osmosis, or if you take the passive aggressive route and attempt to surreptitiously undermine the other whenever the opportunity presents itself, having decided - with no proof because nothing has been addressed (which means, so far, it's mainly in your head) - that the other party is guilty, or even waging a whisper campaign against the other in the hopes of garnering support for your position, then, of course, the situation will never have the slightest hope of being resolved, and your relationship with this person can only become increasingly exacerbated over time. Having the courage to speak freely, transparently, and openly is not easy. If you've never done it before - no matter your age - or if you did not have role models in your childhood that showed you how this is done - then the mere thought of doing it might literally freeze you in your tracks. And yet ... it's one of your best chances to not only uncover what is at the root of your difficulty with the other party, but also to grow and mature. It is, as always, your choice.